Sen. John Kerry's presidential campaign, contending that Sinclair Broadcast Group wants to help President Bush by airing an anti-Kerry documentary two weeks before the election, asked on Friday that each station carrying the program provide a similar amount of time to Kerry supporters. Sinclair has contended that the program is news, covering an issue of interest and importance to viewers, and has invited Kerry to appear on a post-broadcast program. Kerry has declined. A call for comment about the Kerry campaign request was not answered at Sinclair's main phone number in Hunt Valley, Md. Sinclair, based near Baltimore, has asked its 62 television stations to pre-empt regular programming to air "Stolen Honor: Wounds That Never Heal." Many of the stations are in swing states that could decide the outcome of the Nov. 2 election. 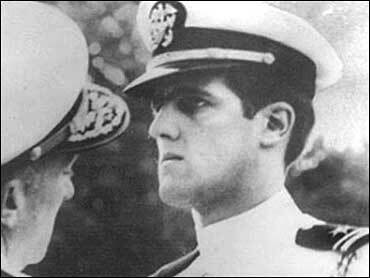 The film, described in online marketing as "a documentary exposing John Kerry's record of betrayal," explores his 1971 testimony before the Senate and links him to anti-war activist and actress Jane Fonda. Vietnam prisoners of war and their wives claim in the film that his testimony demeaned them and led to prisoners being held longer. In a letter Friday to Sinclair President David D. Smith, Kerry campaign attorney Marc E. Elias requested time on each station at an hour when an audience of similar size could be expected to be watching. Citing decisions by the Federal Communications Commission, Elias said stations that permit supporters of a campaign to "use its facilities to advance that candidate's campaign must provide supporters of the opposing candidate 'quasi-equal opportunities.'" Elias said the content of "Stolen Honor" is not controlled by Sinclair or an independent journalistic organization and that the program is not a news program, a news interview nor a documentary that would qualify for an exemption. FCC Chairman Michael Powell said Thursday the federal agency would not stop Sinclair from showing the film. "Don't look to us to block the airing of a program," Powell told reporters. "I don't know of any precedent in which the commission could do that." On Tuesday, the Democratic National Committee filed a complaint with the FEC contending that airing the film should be considered an illegal in-kind contribution to the Bush campaign. Eighteen senators, all Democrats, wrote to Powell this week and asked him to investigate the matter. He said he would consider the senators' concerns but added that they may not amount to a formal complaint, which could trigger an investigation. FCC rules require that a program air before a formal complaint can be considered.